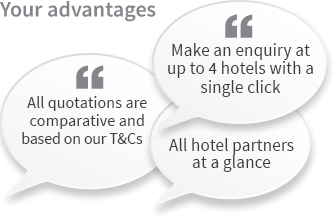 Quick and uncomplicated support when searching for suitable hotel alternatives - in case the hotel of your choice is not available. ... it is worth it because each point means money! Would you like to profit from the advantages of the easyres.com Service Card right away? Then ask for your personal and free Service Card now!